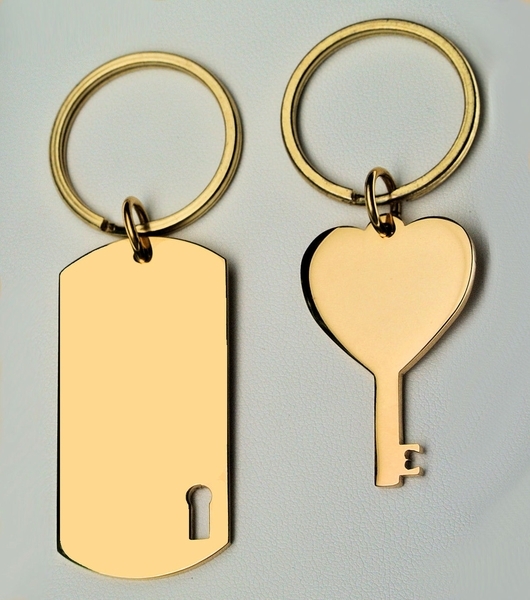 Engraved Silver His & Hers Couples Dog Tag & Heart Key Keychain Set Engraved Free, Best Friend, Sweet Heart Key chain. 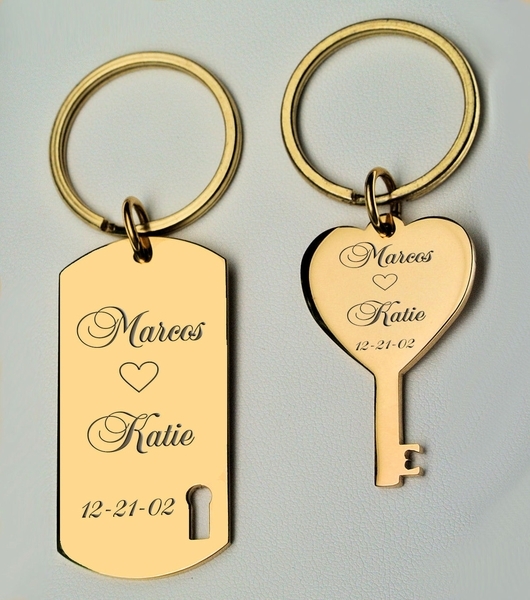 This high polished gold stainless steel durable key chain is personalized just for that special person, offers a thoughtful and practical gift for all occasions. 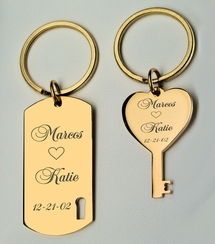 DIMENSIONS: Dog Tag 2" x 1.2" - Heart Key 7/8" x 1.76"